Last November, LG surprised South Korean television viewers with an ad for a digitally-rendered “Drone Phone” that was shown to fly around and take photos from the air. Commentators interpreted the video as little more than a clever marketing stunt, but based on one of the company’s latest patent filings, its interest in the drone market may be serious after all. The document outlines a mobile flight control app designed to help aerial photography enthusiasts pursue their hobby more easily. It appears to be an evolution of the prototype drone controller that LG unveiled last year, which used a vertically placed G5 handset as a monitor. The company showed in a February demonstration how a user could pull out their smartphone, fit it onto the display slot above the joystick and receive a live video feed from the air. Its newly revealed app implements the same functionality in a software-only interface that makes it possible to pilot a drone using simple touch commands. According to LG’s filing, the controller offers a choice between navigating manually or setting a flight course in advance. The latter feature is provided in the form of a map screen that will enable users to plot a route with their finger and have the software automatically convert their input into the appropriate set of commands for their drone. Once it’s in the air, the map is replaced by a split-screen view that displays location data alongside real-time footage from the airborne cameras. When their drone flies by a historic building or some other notable sight, the user can toggle the map and view the video feed in real-time. LG’s controller app features a convenient capture button for taking photos as well as a number of advanced navigation options designed to help with positioning. 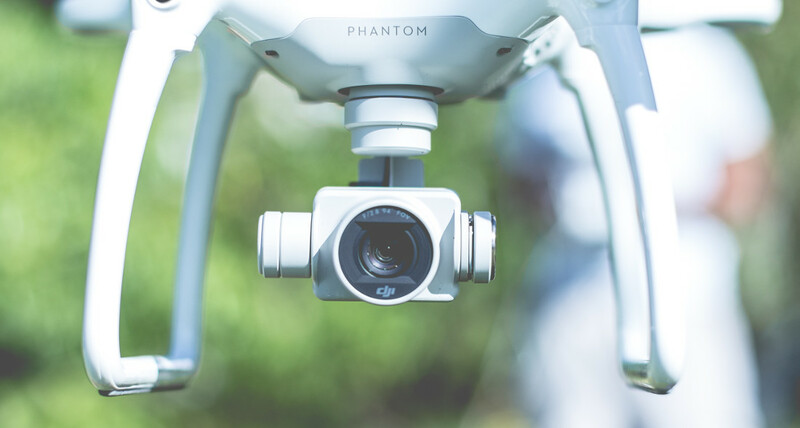 It’s possible to change the drone’s direction when the pre-programmed route doesn’t provide an optimal shooting angle and, if needed, move off the path altogether by tapping on an object in the background. Returning to the designated route is a simple matter of pulling up the map and tapping the highlighted line. Meanwhile in the background, LG’s software monitors the flight to ensure that the drone doesn’t venture somewhere it’s not supposed to be. The controller displays an alert when an area with restricted access or altitude limits is coming up. The original hardware-based incarnation of the controller that LG demonstrated last year was designed to work with quadcopters from a French firm called Parrot. Its joystick-powered predecessor may likewise be geared towards third party models, but the amount of effort that LG has put into refining the system may indicate that it’s part of a broader plan. The company could be looking to develop its own drones. LG certainly has the resources to do so, and it wouldn’t be the first South Korean phone maker to attempt such an ambitious expansion beyond the mobile market. Samsung has made a big bet on virtual reality with its Gear VR headset and the effort already seems to be bearing fruit. Moving into the fast-growing drone market could be just what LG needs to offset the declining momentum of its core handset business.